Our short story of the week is an angelic story by Stefan Grieve. Stefan developed a love of writing from a young age. His passion drew him to experiment with a variety of writing styles in all different types of media. As an avid member of his writing groups, Stefan can be found in meetings for the Blackhorse poets; in which he sits on the committee, and the Wakefield Word, for which he has gladly taken on the role of chairperson. He has become a familiar face at literature festivals. In recent years, Stefan has delved into some spoken word poetry and can sometimes be seen in Wakefield and West Yorkshire, frequenting open mics events. 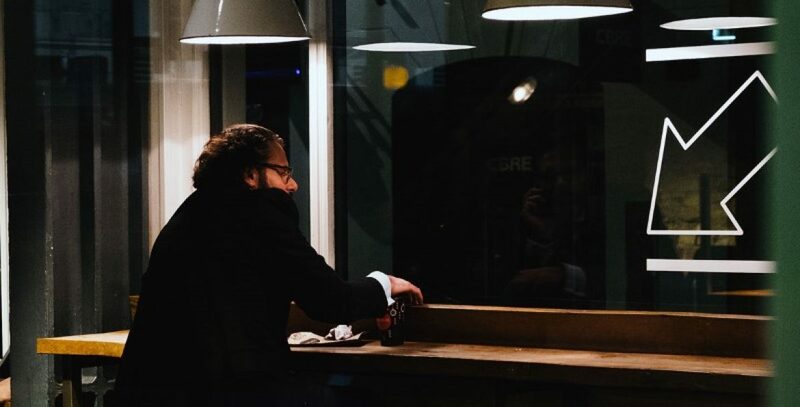 In The Café At Night, Stefan introduces us to a man as he grows to understand his past and comes to accept his role in the future. ‘I am sitting in a café at night. I have a table by the window. The café is enveloped in a soft, dim light, but this does not disturb the pitch-black darkness outside. I find it strange that even though there is light, there seems to be nowhere where the light could come from; no lamps or wall lights. I also notice I seem to be the only one here. There is a light drizzle of steam emanating from the hot chocolate in front of me. As I take a sip, I wonder how I got here. No, I’ve never owned a car. Did I walk? If so, where from? I don’t know, and for some reason, I don’t think that matters now. I realise I should be scared. Or at least, confused. But with an odd dose of innate reflection I find I am neither, but I have found myself in a pleasantly humid gauze of serenity.